Actually, instead of saying I love travel, I should say "We Love Travel." PP has been lucky enough to travel to quite a few countries, and I'm very grateful for Pat. Were it not for him, I wouldn't have the chances to go abroad and widen my vision. 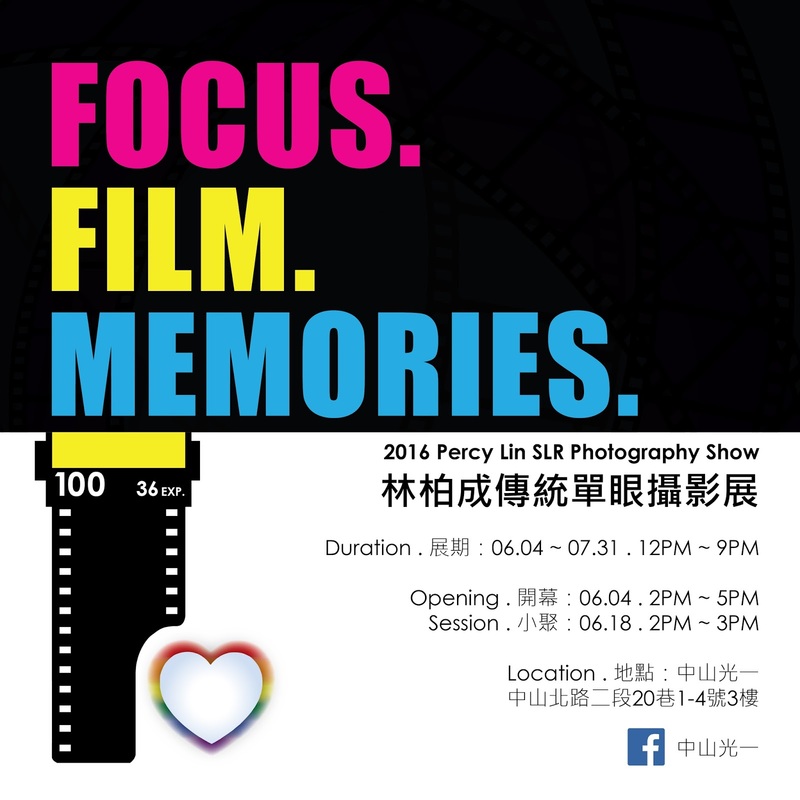 When I was in 4th grade, Percy's family moved to countryside near Taoyuan int'l airport. I remember one time I saw a plane with two huge wings and four big engines flew by, it was so close that it seems so reachable. At that moment, I told my parents, my biggest dream was to flight first class once in my life, they laughed. Although I haven't had the first class experience yet, but being able to see so many countries, that's pretty good!! and hopefully we'll be able to see more of the world!! It has been a while since I came up here and updated the travel experiences. Last few years has been so busy that even we had been to a lot of places, there seemed to be no time to actually sit down and bring back the memories ( -. -|||) Ce la vie! We've got to find time for leisure stuff and try to dig out the fun of life. Last year was kinda like a reorganizing year for me, so I had some chances to re-categorized the blogs and brought back some memories and inspiration. April 2015, PP visited Beijing and Toronto. This is our first time in Beijing. As for Toronto, it's been 12 years since my last visit, still there're lots of memories that felt like just happened yesterday. The main purpose of this trip was not for traveling but to visit Pat's family. Even though, we still took some chances to look around the area. It's not an easy task to make this trip happen. It's either the time wasn't good enough, or something wasn't right. After some twists and turns, we were both like: whatever, let's just book it! Every time we mentioned that we visit Beijing and Toronto, our friends would be like: Why? It seemed like a weird itinerary. The reason was because we wanted to book cheaper tickets. After some price comparing, we decided to go with Hai-Nan airline so we have to transfer via Beijing. Since we had to transfer there, and no extra cost to stay, why not took the chance to visit the city? So we decided to go ahead with this plan. After booking the tickets, came with the problem. There's no visa issue for me, but it seemed like Pat needed a visa for Canadian passport, also it seemed like it is not necessary. Strange, right? The thing is China government provides 72 hours free pass for certain nationalities in certain major cities under certain circumstances. PP were so happy when we saw that, but the more detailed we read, the more buts we saw, the more confused we were: Is that ok or not? In order to confirm, I had called so many places and the results were all like: Regarding to this matter, we are not 100% certain, but I can provide you with the following phone number, you may contact them...(*&^%^$#@...) At last we called Beijing boarder and explained the situation, then we heard the man said a word with his Beijing accent "Sure." We looked at each other and asked "Are you sure?" WT, why on earth we spent so much time on this matter... Even though Beijing officials claimed yes, rumor about Beijing boarder made us worried. Finally Pat said "let's just drop it, we always have good lucks when we travel. What's the worst can happen? probably just sleep at the airport." Then I thought that's right. Perhaps it's the old habit of planning business trip, I've forgotten how spontaneous travel can be. And yes, we did go through Beijing customs with no problem. 這次要成行經過了好多的曲折，一下子這個時間不行，一下子那個東西不對。幾經波折之後最後我們兩個就說不管了啦，就給他訂下去了。每每跟朋友說到我們去了北京跟多倫多，大家都會覺得很奇怪怎麼會這麼走，主要原因是這次為了找便宜一點的機票。幾經比較之後，PP就選擇了海南航空，必須從北京轉機。那既然轉機了，又可以不加價停留，乾脆就直接待個幾天吧~ 好了，訂好了機票，問題就來了......小P我有台胞證加簽就好簡單，大P的加籍護照要停留似乎要簽證、又好像不用簽證。很奇怪吧，怎麼會好像要，又好像不要? 因為大陸官方有提供某些國籍護照在主要城市轉機停留的時候可以72小時免簽。一開始看到的時候我們超開心der，但是越讀條文細節，好多但書，產稱越多問號: 到底可不可以...? 為了確定，小P不知道打了多少電話給各單位，但是大家都說: 關於這件事情，我們無法確定，但可以提供您XX單位的電話，您可以詢問看看(心裡OS就是*&^%$#.....。)最後想說直接問北京吧，打電話給北京邊防，說明來意之後，只聽見對方操著北京腔說"可"
Our flight was delayed, so the airport express to Dong Zhi Men was no longer available. While we were running around in the crowd and wondering we should take a bus or taxi, I heard a man shouted: "Dong Zhi Men~Dong Zhi Men~" I asked and it was a free shuttle bus! So we got on the bus with the fastest speed ever. Got to Dong Zhi Men, no internet no map, thank god Pat's built-in GPS worked perfectly so it didn't take us too much time to find our hotel. After checking in (Holiday Inn Express Beijing Dongzhimen, highly recommended,) we started our Lulu Tour (Fast Site-seeing Tour.) In these 2 days, we saw The Summer Palace, Great Wall (Badaling section), Tiananmen Square, Silk Street, Chaoyang District. PP got to meet with my upper classmate from college, Susan, and her family (It's really embarrassing, her whole family came all the way to Dong Zhi Men just to have a meal with us), had a drink with my online friend Gino who also had a walk with us around the forbidden city the next day. Although it's a short time, we were very lucky and did quite a lot with a slow pace. In addition, for those who haven't been to Beijing and are planning to go, PP recommend you to wear good shoes, it's really important! Beijing is way way way too big! Sometimes from A to B, you might feel like walking because there is no subway and too short to take a cab, but it would feel like indefinite walking. So, please wear good shoes. On the last night, Percy felt like it is absolutely necessary to have Beijing duck while we're there. However, Pat didn't feel like getting in a huge line just to eat a duck meal. So we found out that right across the street from the hotel, there's a Jingzun Peking Duck Restaurant. It was delicious, reasonably priced and no need to wait in line! This meal definitely gave us a perfect ending for the stay. To be honest, we were kinda worried to fly Chinese airline, but we had a very nice experience. From Taipei to Beijing was the regular small airplane, so not much to talk about. From Beijing to Toronto, they used the new Boeing 787, comfortable cabin with VOD, flight attendants were very nice. Most important of all, there're the auto-adjust windows, so fancy! Even though it was kinda sad that there's no airplane models on duty-free, the whole trip was pretty comfy. We had a whole month this time, and the daily itinerary is mostly Simcoe - Brantford - Simcoe, malls, supermarkets, dollar stores. Super-sized malls, dollar stores are scattered everywhere in northern America, personally I would recommend No Frills, dollarama and dollartree, because there're lots of cheap stuff to discover, lol. Sometimes No Frills would come up with some ridiculous DM price like 1 CAD for 18 bottles of 300ml spring water. Isn't it ridiculous? There's also Value Village where you can get nice stuff for a very low price. PP got 8 crystal glasses for less than 10 CAD. Speaking of shopping, since we were so close to the American boarder, there went without saying that we must visit the outlets and malls. We had 4 visits in total this time, and bought lots of goodies including a vacuum machine XD. PP had been to the outlets in US before, and we started to think that the discounts aren't that appealing as before. Instead, some malls provided better deals than the outlets, such as the Eastview mall in Rochester (my god it was ever spacious,) also Walmart and Target. Most stores provide price match, so if you can find lower price online, they will sell it to you, too. (Although sometimes it's kinda pain in the b to spend a lot of time online just to save a few dollars.) Besides modern goods, antiques are also very popular there. There're home antique business and also large warehouses. If you're interested in antiques, it is quite interesting to spend some time in these places, you might find some treasures. Other than Simcoe and Brantford, PP also visted Ottawa, London, Cambridge, Kitchener, Toronto and few other places. Saw a lot and took some pictures, too. It's been a long time since I took out my Nikon FM2. Ever since we hit the digital smart phone age, I felt lazier and lazier to use the SLR, it seemed so inefficient and uneconomical. It's heavy, you have to buy films, only 36 pictures available, can't see the pictures real-time and it cost money to develop the film. However, since PP started to use smart phones, we rarely go back and look at the pictures we took. We took them, deleted them, then took them again, no sort of feelings at all. PP only took about 200 pictures pictures this time, but we cherish single one of them. Til now, we still look at them from time to time and also get to experience the details of the journey once again. A month seemed to be a long time, but it went by quick. It's time to go back to Taiwan. After saying goodbye to the family, especially the 4 awesome sisters Lou, Rita, Paula and Anna (through the whole time, they keep telling us to move back soon.) we got on Hai-Nan airline and left for Beijing again. PP landed in Beijing around 6pm this time. We had to layover for the 9am flight the next morning. Hai-Nan airline put us in the Phoenix Hotel near the airport and even prepared shuttle bus at the airport lobby for us, very sweet. The hotel was ok, old hotel. We thought there was probably nothing near the hotel, but on the map there seemed to be a community not so far way, so PP decided to have a look. It turned out to be a night market and as soon as we approached the market, PP both looked at each other all in a sudden: STINKY TOFU! After a month of western food, we couldn't wait to get a taste of traditional Chinese food. It was Hu Nan spicy black stinky tofu, SUPER DELISH! (PP didn't really care if it's clean or not, as long as it's delicious, lol) Other than stinky tofu, we also tried the BBQ, little dumplings, and stir-fried crispy intestines (AMAZING!) Compare to the last sight-seeing tour in Beijing, PP both felt like, this is more of the Beijing that we wanted to see. PP came to KinMen in Aug, 2009. Pat's always been very interested in the military items and always wanted to visit KinMen, so here we are! We stayed there for 4 days and 3 nights. Thought about going to XiaMen, but Pat couldn't get a landing visa, so we had to stay in KinMen for the whole 4 days. For those who want to visit KinMen, 3 days 2 nights are MORE than enough, unless you're planing to visit XiaMen. Thank god I brought my notebook and wireless internet card along. We were not at all prepared, so after we made a whole circle on the island, I started to look for some must see and must eat. After we've tried everything, here's what I recommend: KwangTung Congee (unlike the ones in TW, you can't find a single rice in the congee. ), KaoKeng Beef Noodle (Yum! ), KaoLiang Spicy Crab, ShaoBing in ShaMei town, etc. Well, these were my favorites. As for the must sees, had to be those war museums, tunnels and obervation points. You can find all the information you need on the map, which is available at the airport, or hotels. To sum up, it was a nice relaxing trip, althought we did get to the point where we stared at each other and wondered: "What's next?" The beaches in KinMen were really pretty. However, after seeing too many "Danger Mines" signs, we couldn't help keep thinking about the explosion scene whenever we took a step on the beach. As for souvenirs, besides the famous knives, sugar and killing KaoLiang (alcohol), personally i would recommend the local made sauce, especially the fermented soybean curd and garlic sauce, they were delish! April 2008, Percy was back to India. Unlike the trip in 2006, the schdule was fully packed this time. Whole 9 days of non-stop university visiting and exhibition. Altough the body was exhausted, it was a rather fulfilling trip. Besides, I got to know a lot more about Indian culture. There're 2 guys that I really need to show my gratitude to. One is the secretary of the TOM in New Delhi, Mr. Tien-Sze & the Indian student - Kumar. Without their help, the trip wouldn't be that succesful. Thank you! The trip was devided into 3 sections, which are Delhi(3 days), Mumbai(2 days) & Delhi(3 days.) I won't speak too much about Delhi since I've decribed it in 2006. Besides India Gate, the only memorable sight we had been to was the little Taj Mahal... Once I arrived at Mumbai, it felt like I had arrived in heaven. The streets were a lot cleaner, and the British style building also made me feel a lot more comfortable. However, after some discussion with Kumar, I found out that lots of Indian people prefer New Delhi than Mumbai. I guess it's the ingrained thought that I've always had. Why is British style better? For the Taiwanese representatives who haven't been to New Delhi, Mumbai seemed to be quite terrifying to them. One's heaven is someone else's... Why is that? I wondered. Coming back to New Delhi, I stayed at the same hotel - Hotel Clark International. Even though it's in a small alley, right beside a night market, the traffice was so horrible in the evening that you can hardly move, I like this hotel a lot. For there's a reasonably priced roof top restaurant, free wireless internet and most important of all, I got to shop right downstair and see the authentic Indian Style of living. To sum up, the trip was very fulfilling. Even though it's a bit overwhelming, but I guess it's because of work. If I have a chance, I do want to visit India again. But this time, work free. Budapest has an old and efficient subway system. There are three line, Blue, Red and Yellow. It's quite easy to get to most of the sights with the subway system or sometimes a transfer by bus or city train. 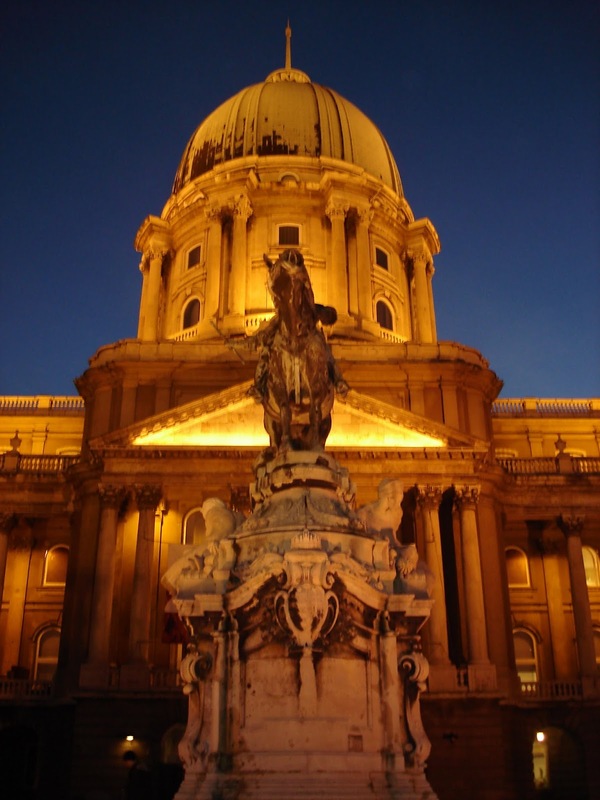 Budapest is quite a tourists friendly city I think. Even if you are new to Budapest, with a lonely planet (or a map from the hotel or tourist center) on your hand, you will find your way easily. There is one more things, for those who are staying in Budapest for more than two days, you must consider buying the Budapest Card, it's quite a bargain! Maybe we've been to Thailand a few times, or maybe I spent too much time working during our stay there, I didn't realize how beautilful Krabi was until I see these pictures when I'm back to Taiwan. Blue sky, white sand beach... why couldn't I really enjoy it while I was there? As soon as we got to BKK, we flew to Krabi directly. We stayed in a B&B which I booked two days before departure (so close), I remember the serivce was call Last Minute online hotel booking. It's a bit more expensive, but you can tell whether the room is booked or not right away. I can't recall the name of the B&B, even though it's about 10 mins drive from the downtown Krabi, the newly renovated room, the scheduled shuttle bus, wireless internet (the main reaosn why I book this place cuz I had to work...) and a small but tasteful swimming pool made it really worthy. Besdies, it's also pretty close to the pier. Island hopping is one thing you must do in Krabi. Go swiming, sun-bathing, watching all the models walking on the beach and wondering how everyone kept their bodies so fit... Anyhow, if we do get the chance to come back here few years later, I must really enjoy it, without work. First time to Singapore, since the business part is on the next time. I wasted no time and left the hotel as soon as I dropped my luggage. 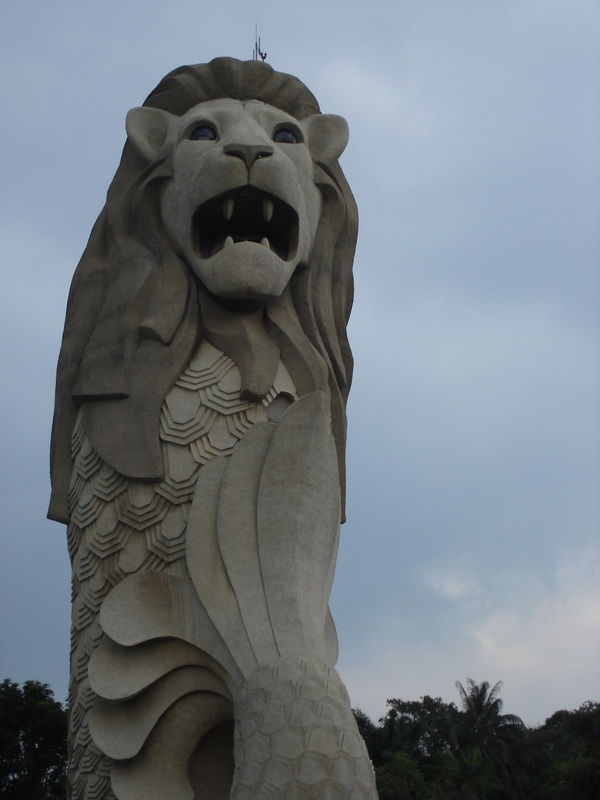 The first stop was the Sentosa, then the Orchid road, and the Night Safari for the last stop. I liked the Night Safari the most. Though the ticket was a bit expensive, I still enjoyed the little train ride. I've always wanted to visit India, and I finally made it this time. I had to wait for Yu Chan for about four hours at the airport, I thought it would be ok since it's an international one, there might be lots of stuff around, but it turned out that there was not much to do. Things got worse, when we arrived at the hotel, the owner told us that there's only one room left so we had to share a room(so much for the reservation!) Anyway, we wouldn't call it a nice start. The next morning, we decided to treat ourselves a nice breakfast (plus we couldn't find anything else cus it was too early), so we spent 15USD each and ate in the Park Hotel. We had couple of hours before the work, so we went to India Gate and spend some time taking photos. We aso took the chance and visit Taj Mahal. To get to Agra, we needed to take the train, and it wasn't easy to find the ticket booth cuz there's only one place for foreigners to buy tickets. Once we got to the train station, lots of people wanted to help us. However, the scary thing is that they all gave us the different direction. One guy even wanted us to follow him, after about 100 meters, we decided to turn around...Few mins later, we found the ticket booth in the completely opposite direction. For those who wanted o buy tickets in the Delhi Train Station, if you are facing the main entrance, it's on the second floor of the left hand side. It's not as bad as it sounds tho, I actually enjoyed the trip a lot. We saw a lot of things (and bought a lot of stuff, too. Love the scarves in India!) 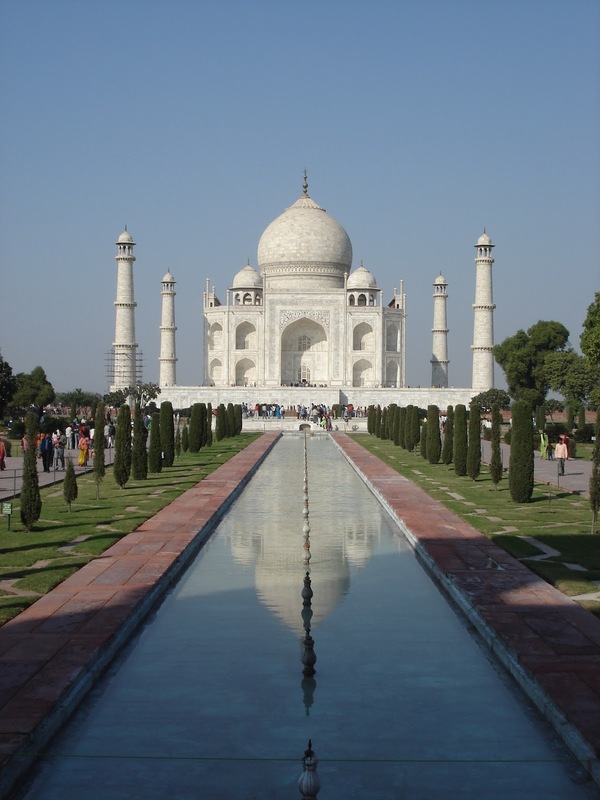 Besides, when I saw the Taj Mahal, the dreaming kind of feeling really made me forget about the bad impressions. Agra is quite different than Delhi, it's more lay back. After all, it's not a big city and it has to be more tourist friendly. 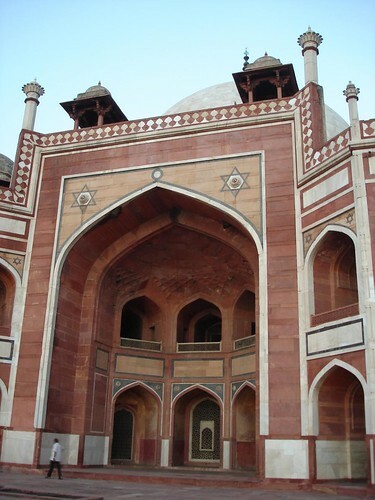 We stayed almost 2 days in Agra, and we also hired a tour guy to take us to a few sight in Agra. The first stop, of course, gotta be the Taj Mahal. Even tho it was not high season, still packed with people, took us a while to get in. The tour guy was really nice, he slowly guided us to Taj Mahal with stories, and when I finally saw the building, it was really amazing! It almost felt unreal, like it's not there, but it was! The milky building totally stood out, the color brought out a huge contrast to everything that is around her, and somehow it doesn't make me feel odd but absolutely harmonious. Besides Taj, we also saw the Fatehpur Sikri, which I found the carvings inside was incredible as well. Yes, that's right. PP visited Thailand in 2006 again. This year, Percy was teaching in a Junior High School in Taitung. One good thing about being a teach is that you get to take longer vacation during the winter vacation. This time we stayed in Thailand for about 10 days. We decided to go back to one of our favorite places of all-Koh Samet. Then headed to Ayuthaya after getting back to BKK. When we got to Koh Samet, maybe it's because the hotel staff recognized us, or maybe they still had our booking records for the last two visits, they gave us the sea front room! It's only about 10 feet to the beach and we got to listen to the ocean when going to sleep, how nice! One of the waitress even came to us and said "Welcome back" during the first breakfast. I have to admit, it's kinda strange to be recognized when you are abroad. Koh Samet has changed again, there're more shops, more cafes, more hotels. It's gradually losing it's natural taste. Even though, it's still nice to spend whole day lying on the beach, swimming, reading, eating, taking pictures, sleeping...... who wouldn't love it? Coming back to Bangkok, we stayed at the Royal Princess this time. Nice hotel, good service, but the location wasn't too impressive, what a pity. Pat always talked about visiting Ayuthaya, we never made it until this trip. Booked the package as soon as we arrived at the hotel, and left in the next morning. The package included a bus ride to Ayuthaya (with a stop over, about 1.5~2 hrs), lunch, and a cruise ride back to BKK. We stopped at a king's summer house (huge, spacious, bea...utiful), mixed with Thai Style & European Style. We came to Ayuthaya finally. It's a bit smaller than I thought it would be, but still quite photogenic. After taking a lot of photos. We found a souvenir market right beside the palace, everything was surprisingly cheap. This was the place where we got all the souvenir shopping done! We cruised back to BKK, it took us about 3 hrs to get back, quite a long time. The reversed itinerary is also provided, depending on what you like. It's Chinese New Year again. We were planning a trip to the Philippines this time, but it turned out that everything was fully booked. So we browsed online a bit, the only affordable & available destination was our second home - Thailand. So, PP visited Thailand for the fourth time. However, we didn't go anywhere but spent the whole time shopping in BKK. What's there to shop? The Dettol soap(It's rather expensive in Taiwan), the less expensive Regaine (Blush...), the cheap jeans & shirt at MBK, if time allowed and if we have extra energy, we would go visit the Chatuchak weekend market, wondering if there're new designs of products. It's rather convenient to go to these two places, just hop on the BTS and go to National Stadium & Mo Chit, you'll see yourself there. Copyright I LOVE TRAVEL and Crafted by VeeThemes.com.